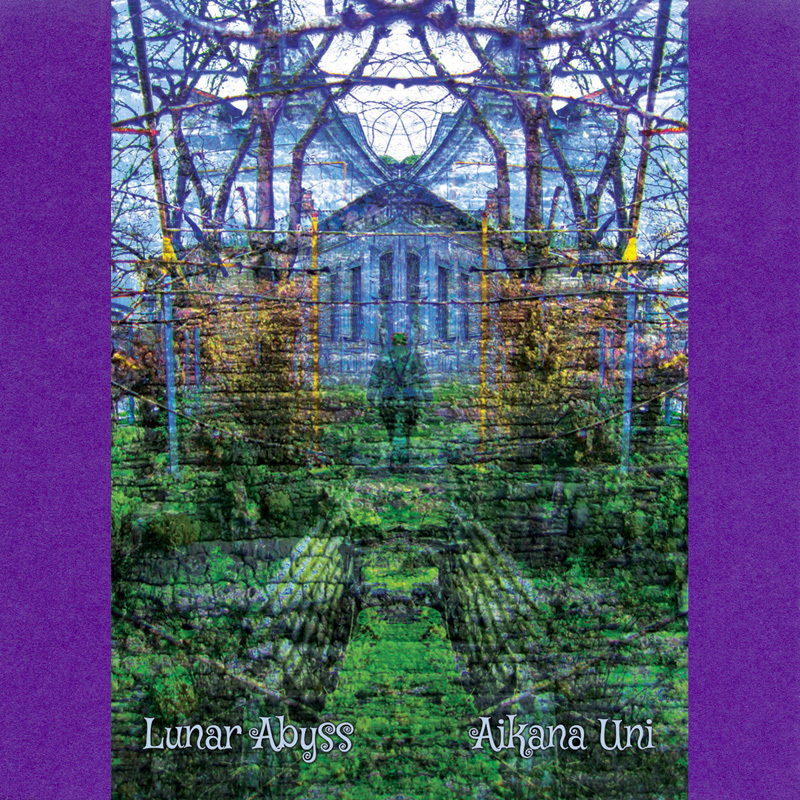 Lunar Abyss - "Aikana Uni"
The recording of this material was made deep in the night of March 2015. According to the author of the project, Evgeny Savenko, he caught an interesting "sweeping" combination of settings of his equipment, hit the "record" button and fell asleep a few minutes after. When he woke up he found a recorded track just over an hour long. In a more conscious state Evgeny edited the track by wrapping it in thin layers of field recordings and modulated sound waves. The result is a viscous drowsy composition with soft enshrouding drones, electric signals running through the circuits of oscillators and effects, rain rustling on a tent's roof and a swarm of all kinds of tones of unspecified origin… True music for sleeping, sedating not only listeners, but even musicians themselves! 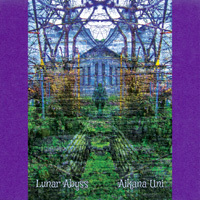 On CDR we have Evgeny Savenko's musical project Luna Abyss. In March 2015 he was working late at night and found some interesting combination on his machines which made 'an interesting sweeping combination' so he hit record and fell asleep a few minutes later. More than an hour later he woke up and he had this piece waiting for him, but he first added some 'thin layers of field recordings and modulated sound waves': we don't want to think that all of this was made when being asleep. This sixty-four minute piece is just exactly that: a piece to fall asleep by and I don't mean this in a derogatory way. Over the course of this hour, the piece becomes softer and softer and yet it remains very static. Only the field recordings seem to be changing, ever so quietly, but that's just deception: also the synthetic parts change, more so towards the end, so it seems. It is a very consistent piece of music, with a beautiful, gradual changeover. The perfect release to go to sleep by. A forest, boisterously Amazonian, at night, on a different planet. Crackling, golden atmosphere. Underscored by low radiation drone, while above, a satellite blinks. Thunking air vaguely reminiscent of the helicopters in Apocalypse Now. Ground underfoot that doesn’t quake but trembles. Evgeny Savenko is the mind dwelling deep in the Lunar Abyss, alternately known as Lunar Abyss Deus Organum (and a host of increasingly convoluted variations), and late one night, he pushed an interesting combination of buttons on his fleet of machinery, hit record and promptly fell asleep. When he awoke, he found a fully-fledged work that only needed its feathers slightly groomed. Aikana Uni, a length of time all balled into one, is raga in layers of sonic eddies, all moving according their own, eccentric rotations. Deep enough into it, it takes on an immanent quality.